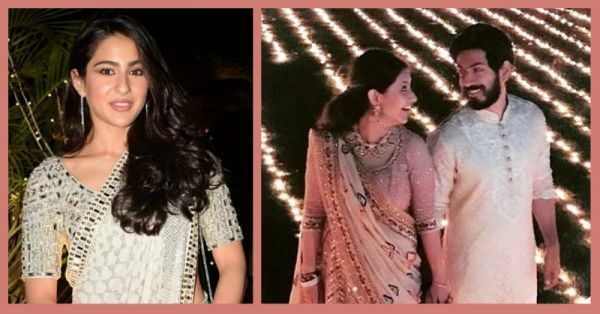 Sara Ali Khan & Karan Johar Shaking A Leg At Sandeep Khosla's Niece's Wedding Is Totes Lit! The much sought-after celebrity designer duo, Abu Jani and Sandeep Khosla are very well known for their ornate wedding lehengas and gorgeous sarees. They have a lot of loyal friends in the Bollywood industry who swear by their designs, the biggest one being Sonam Kapoor. News is that Sonam's wedding outfit has also been designed by Abu-Sandeep. So, when wedding bells rang for Sandeep's niece Saudamini Mattu, it was bound to be a grand affair and it was. 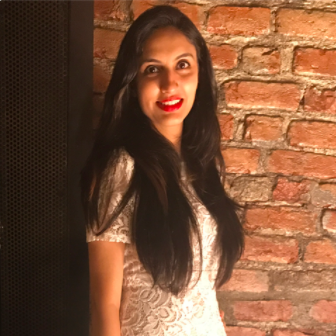 Saudamini is also the young and vivacious CEO of her uncle's label, and she has not only handles her responsibilities well, but also taken the brand to new heights ever since she took over her role. Saudamini got engaged to her now husband Siddharth in November, 2016. Their grand star-studded wedding took place recently and the pictures are super stunning. She's a superstar in the making and we can see it already! We had no idea Shweta was such an amazing dancer... well, we guess it's in her genes! Nobody does it better than him! The celebrations also saw a lot of other Bollywood celebs in attendance including Jaya Bachchan, Aishwarya Rai Bachchan, Sonali Bendre and her husband Goldie Behl among a few others. Well, our heartiest congratulations to Saudamini and Siddharth! May their 'happily ever after' be full of love, laughter and fashion!